Patrick F. Robinson is a partner in the New Orleans office of Allen & Gooch. His primary area of practice is workers’ compensation. He offers more than two decades of experience as a civil attorney, judge, and high-level government administrator with multi-line trial experience in state and federal courts. Patrick’s knowledge was gained representing the largest workers’ compensation insurer in Louisiana while working at the Louisiana Workers’ Compensation Corporation, as senior staff attorney for Liberty Mutual Insurance Company, as Workers’ Compensation District Judge for a seven parish district in north Louisiana and as the Director of the Office of Workers’ Compensation for the Louisiana Workforce Commission. An accomplished jurist, Patrick boasts an affirmation rating over 90% in the court of appeal. 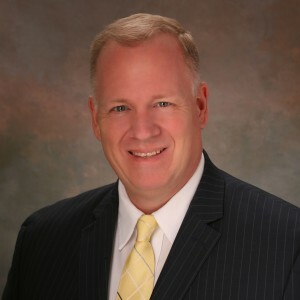 Patrick is a frequent presenter for state and regional associations, and serves on the advisory council for the Louisiana Association of Self Insured Employers. He is a former officer and a recipient of the Combat Infantry Badge with the United States Army, and has achieved an AV Martindale-Hubbell rating, the highest rating established by the service.